Unbounded energies are released in Chicago in many different directions. One of which is the creative energies that result in the Chicago Literary Renaissance during the first quarter of the new century. The city’s Literary Renaissance is primarily fueled by two women publishers, Harriet Monroe and Margaret Anderson. A native Chicagoan, and a writer herself, Ms. Monroe established Poetry, a magazine totally dedicated to that particular literary form of expression, in 1912. Sandburg and Vachel Lindsay were frequent contributors, as well as countless others. Today, Poetry, in its 103th year, is going strong as ever. Margaret Anderson, also a writer, leaves Indianapolis to come to the creative hub of Chicago. 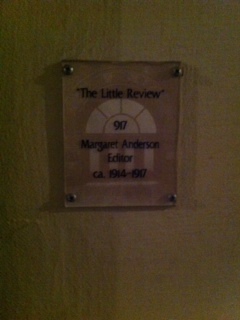 In 1914, she establishes a literary journal called The Little Review. Soon The Little Review publishes the early works of Ezra Pound and T. S. Eliot. Later on, excerpts from James Joyce’s Ulysses are published, for the first time in America, in the journal. 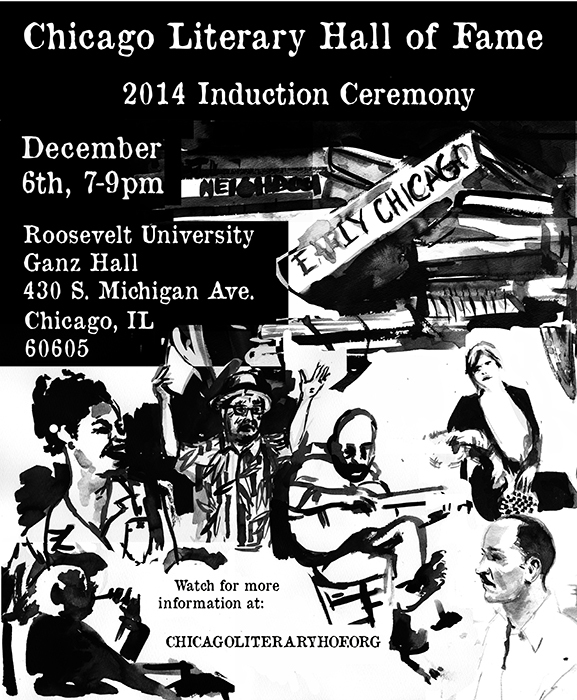 Chicago becomes a magnet drawing in creative geniuses to its bosom. Ben Hecht leaves his home in Racine, Wisconsin, and comes to town in 1910. Although making a living as a newspaper writer, Hecht begins his work as a playwright, teaming with Kenneth Sawyer Goodman, in several one-act plays performed at Jane Addams’ Hull House. Years later, Hecht and Charles MacArthur write what I believe to be the most entertaining of Chicago plays,The Front Page. While living in Chicago, Hecht wrote several novels and numerous short stories, but his greatest writing, by far, were the 500 fictive pieces that appeared every day on the back page of the Daily News, which he called 1001 Afternoons in Chicago. Edna Ferber leaves her newspaper job in Appleton, Wisconsin, and arrives in Chicago in 1909, eventually settling in the Windermere Apartments in Hyde Park. From this base in Chicago, she writes novels of the like of So Big (winner of the Pulitzer Prize in 1924), Cimarron, and Show Boat that make her the most prominent woman novelist of her time. Sherwood Anderson comes to Chicago in 1912, after failing horribly in business back in his home state of Ohio. Deserting his wife and children, Anderson’s creative juices are unleashed in our “stormy, brawling and husky” city, and eventually he completes Winesburg, Ohio, a collection of interrelated fiction vignettes that is considered one of the masterpieces of American writing. The Chicago Literary Renaissance eventually fades away as both Andersons, Hecht, Ferber, Sandburg and Hecht leave the city in the mid to late1920s. Harriet Monroe remains and continues publishing Poetry here in Chicago.